MOISTURESORB Reusable Moisture Removal 4 mm Eco Granules: 2 lb Summary MoistureSorb™ Eco Moisture Removal Granules Moisture is a desiccant that prevents odor, mold, mildew & corrosion. Moisturesorb™ is reusable & lasts a year. Safe for people, pets & planet. This eco-friendly moisture trap dehumidifier really works & results in dryer air. Features & Benefits • Eliminates moisture & odors • Prevents condensation, corrosion, mold, & mildew • Eco-friendly, safe, non-toxic, reusable • Creates a cleaner, healthier, safer, environment • Can be used in all homes, garages, safes, & gun racks • Made in USA Eliminate Excessive Moisture to Fight Mold, Mildew & Musty Odors Mold and mildew are fungi that thrive in moist conditions and usually cause the damp, musty odors commonly found in basements, bathrooms, closets and other areas with excess moisture like safes and gun racks. In addition to resulting in unpleasant odors, mold spores will irritate someone with allergies and can result in health problems. The MoistureSorb™ Moisture Absorbent Granules & Powder was specially developed to solve this problem using a unique dual mechanism. 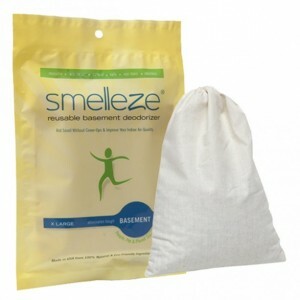 Firstly, it absorbs excessive moisture from the air to lower the relative humidity thereby destroying mold and mildew. 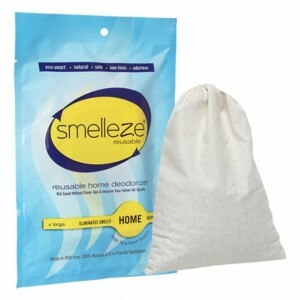 Secondly, it eliminates musty odors on contact without covering them up with fragrances. For a breath of fresh air, simply sprinkle MoistureSorb™ Moisture Absorbent Granules & Powder in areas with excessive moisture and smell the difference. It may also be inserted in open containers and placed in the area to be treated. To rejuvenate periodically, simply heat in a microwave for 2-4 minutes or place in direct sunlight for a day and reuse. Replace when rejuvenation does not help. MoistureSorb™ Moisture Absorbent Granules & Powder can work for years so it is very cost effective. MoistureSorb™ Moisture Absorbent Granules & Powder is non-toxic, safe, reusable recyclable, natural, odorless, non-flammable and non-caustic. It is an ideal environmentally friendly solution for absorbing moisture and eliminating unpleasant musty odors without adding pollutants to the air you breathe. MoistureSorb™ Moisture Absorbent Granules & Powder does not contain VOCs, harmful or ozone depleting chemicals and is especially beneficial for those suffering from allergies and chemical sensitivity. No fossil fuels are used in the production of MoistureSorb™ moisture control media.